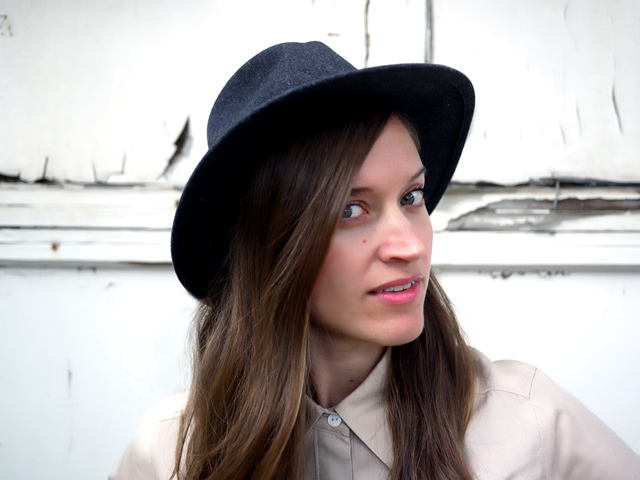 My Fair Vanity: Bailey Hat Company for J.Crew: The Perfect Fall Fedora? 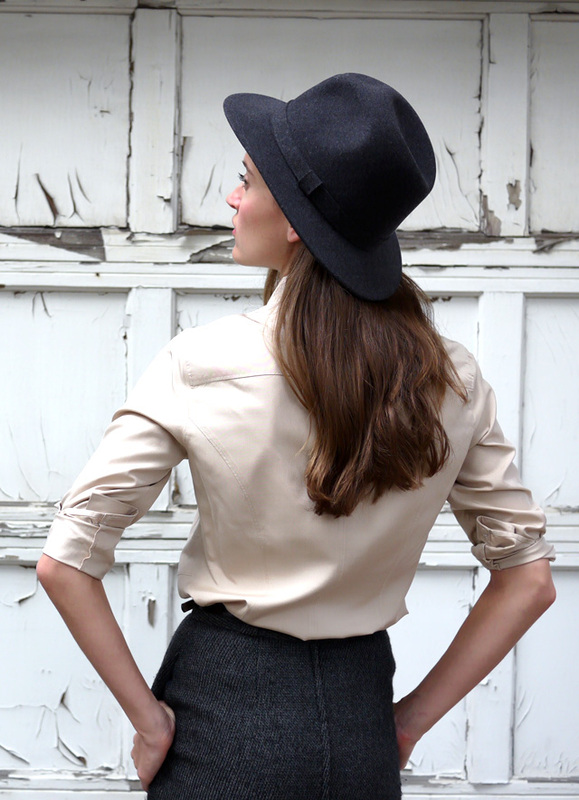 Bailey Hat Company for J.Crew: The Perfect Fall Fedora? Fall leaves are finally on the ground, so the time felt right for a new hat. 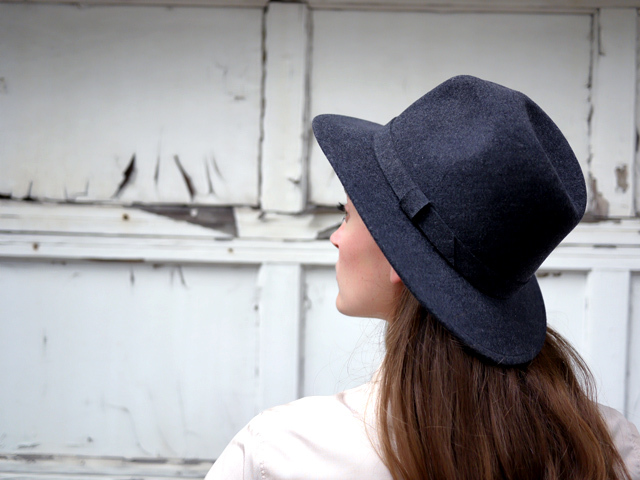 This fabulous felt fedora is by Bailey Hat Company for J.Crew. I was so pleased to discover this hat in a store where I wouldn't expect to find a single 'made in the USA' label, and I hope that J.Crew will to continue to add more American-made products to their special collections. Bailey's hats have been made in the USA since their beginnings in 1921, and their decades of experience are clear in the simplicity, clean lines, and easy wearability of their products. They got their start as a go-to milliner for Hollywood's elite in the 1920s: Humphrey Bogart, Cary Grant, Bing Crosby and Gary Cooper were all fans, according to the J.Crew description. While I love the company's glamorous roots, what I love most about this hat is that inside notes it's packable and water repellent. I require a high level of hardiness from my hats, since I tend to wear them to death and bring them absolutely everywhere. I kept things simple with this outfit and left most of my jewelry at home, but I had to add my favorite rings to toughen things up. Both rings are stainless steel and handmade by my buddy David at Alitas Jewelry out of Baltimore, Maryland. I've been a huge fan of his work since discovering it a street market in DC years and years ago, and was so happy to see him set up an Etsy shop. You should know, though, that his online shop represents only a tiny fraction of his full body of work, which you can see towards the bottom of this post from last Christmas. Wearing: silk button down shirt (conventional); vintage Christian Dior skirt from Secondi; Reiss heels from Secondi, hat by Bailey for J.Crew. Styling and photography by Victoria Corkhill.